With a stupid title, Snoopy and Charlie Brown: The Peanuts Movie has a poster. The good thing is that it’s a lot better than the last time we got information about the film. This time it seems that there has been a big advance as I did say some rude things about the film at the time. 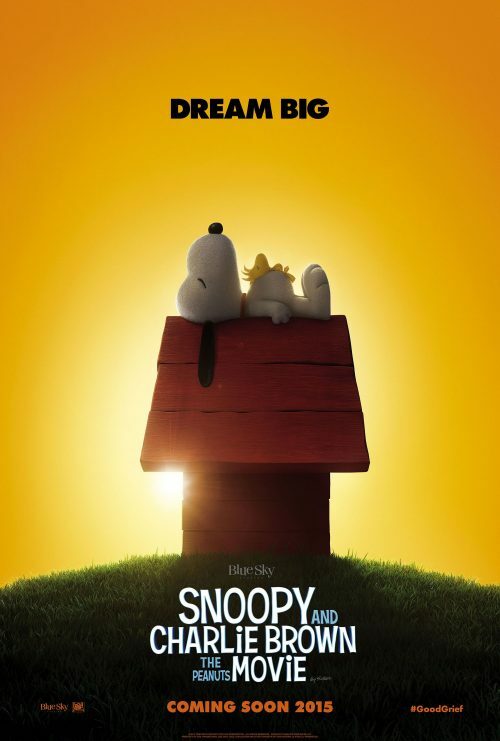 Now, quite a few months later, this has started to mellow as the poster shows Snoopy in his iconic pose on top of his dog house with his friend Woodstock. I did say at the time it did have the feel of “needing to get something out”. The teaser did have more of a feel of an extended character test than anything more. For the first time ever, Snoopy, Charlie Brown and the rest of the gang we know and love from Charles Schulz’s timeless “Peanuts” comic strip will be making their big-screen debut; like they’ve never been seen before in CG-Animated Feature film in 3D.